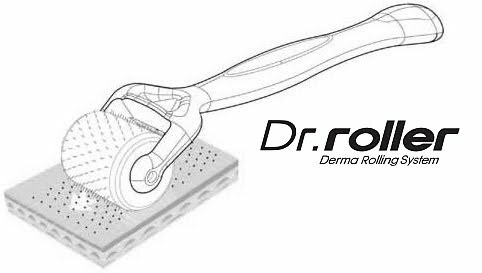 Dr. roller is a premium quality derma roller which has gained a reputation for being one of the best on the market. If you are looking for high quality and long-lasting roller, then Dr. roller is your best choice! All Dr Roller rollers are sterilized and assembled with extreme care, with medical grade stainless steel needles. 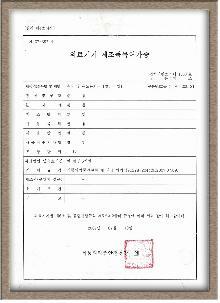 This is the 8-line model (with 192 needles), which is suitable for treating all body areas, especially larger areas. Consider using the 3-line model for hard to reach areas (such as the nose or under the eye), small scars, etc. 0.5mm is the minimum length required to actually induct collagen in the skin, i.e. anti-aging. It can be used up to 3 times a week, and is virtually painless (feels like shaving). It is ideal for facial skin, and even for the gentle skin around the eye if used carefully. Simply Best MTS Derma Roller In The Market! The Dr.Roller, as a skincare device, is designed to use on Derma Rolling System which is called a 4-generation skincare program and consisted of various kinds of needles, such as 0.25mm∼2.5mm, for optimal treatment on the skin. 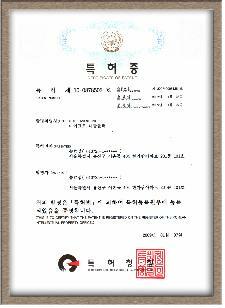 The Dr.Roller is certified by Korea Food & Drug Administration and has obtained a certification of GMP. 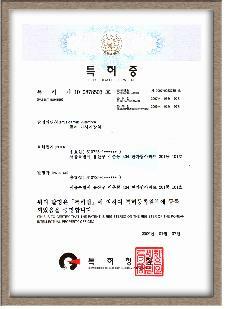 Also, this product has fulfilled all the criteria required by international standardization organization for ISO:13485, safety certification for CE, FDA, as well as patent application in and out of Korea. The needles on the product have a significant effect on its treatment. The needles on Dr.Roller have been made of high grade of stainless steel for medical use, so they create fine and delicate holes on the skin and help increase more clinical effect than that of roller made by other competitor. The safety of needles that directly contact with skin is the most salient competitiveness of Dr.Roller. 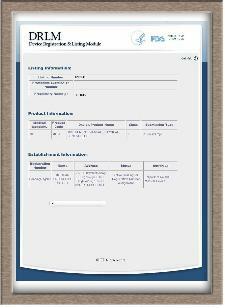 Thanks to the highest grade of stainless steel, this product is free from any adverse effect. Since we have secured the gamma sterilizing system and a specialist who evaluates sterilization by gamma rays, we enable to develop and manufacture "bacteria-free" product at the moment. Unlike other assembling, we have developed a flange type of new assembling system and applied it on Doctor Roller without using any chemical element. In the process of manufacturing, we have inspected each one of our product precisely by 300 magnification microscope for its safety and durability. The Dr.Roller has shown a high effect in treating the care of skin, such as whitening, fine wrinkles as well as help keep it soft and supple. It builds up collagen and fine holes, so more high effect can be expected if appropriate solution may be combined with other management program depending on the condition of skin and type of treatment, with no any adverse effect. The application of Dr.Roller, by its basic treatment of rolling, has an effect to keep the collagen in disorder in right place. Through this process, it has resulted in a very good effect against acne, burn, scar without hurting dermis and epidermis, as well as boost skin's natural renewal process. 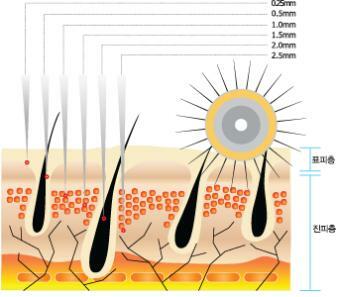 Various factors may lead to the loss of hair, such as degrade of cells on the scalp by aging, insufficiency of nutrient on hair root, shortage of oxygen on the scalp due to excess of fat, inflammation and closed pore caused by scalp disease, partial hair loss caused by stress and other disease, etc. The Dr.Roller for family use has been developed for the people who want to keep the care of their skin after the treatment. You can use an appropriate solution with serum that is suitable to the condition of your skin after consulting with specialist.